Léopold Robin; 1877-1939, Parisien master engraver and listed artist. 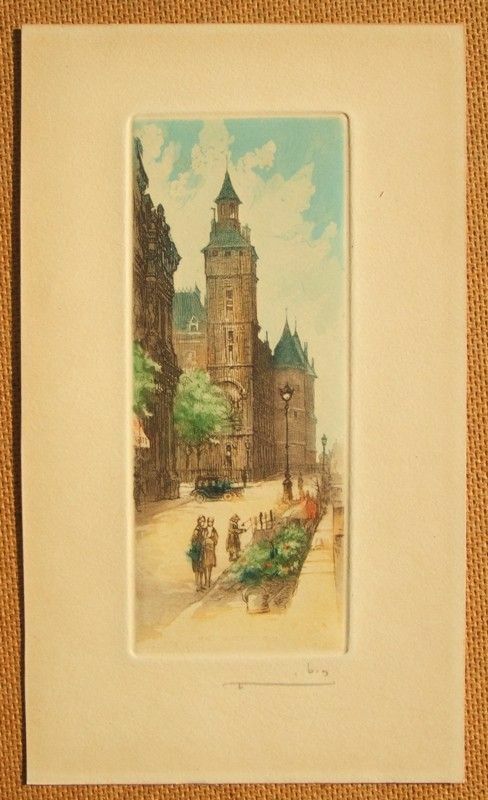 An original etching which has bright and unfaded colour, with rich inking and excellent fine brown ink detail and lines. The image printed within a strong platemark and impression on a wove paper sheet size of 12 cms. x 21 cms. (5 x 8¼ ins). 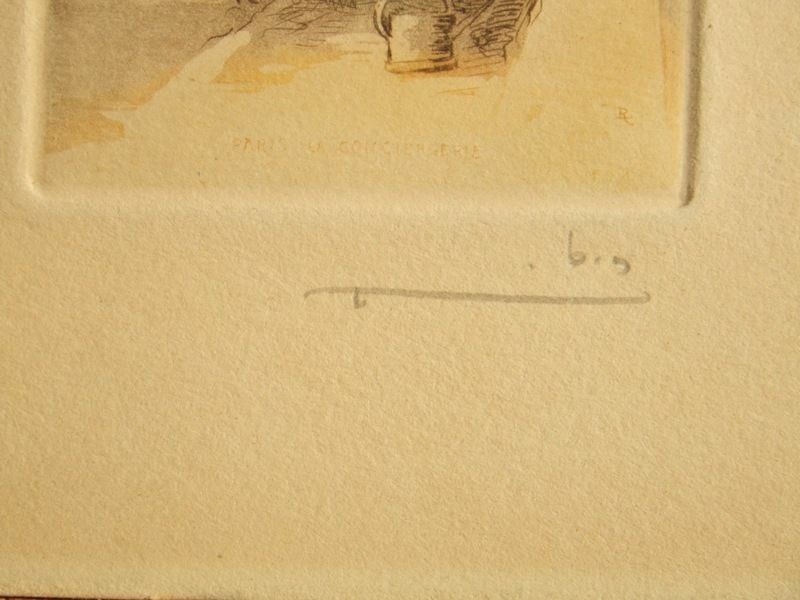 Titled and signed in the image and signed in pencil by the artist. Unmounted and unframed, the condition of the image and sheet is very good with handling marks and toning condusive with age.